The 3TB Spare 3000 Enterprise Hard Drive from G-Technology is a hot-swappable Spare series drive for use with the G-Technology G-SPEED Studio, G-SPEED Studio XL, G-RAID Studio, and G-RAID arrays. As a Spare series drive, its frame is fitted with a mounting system that only allows it to be used with the mentioned G-Tech products. This drive allows you to store and access up to 3TB of your data when installed in a G-Technology array. In terms of speed, this drive operates at 7200 rpm and the 64MB cache helps ensure uninterrupted data transfers. 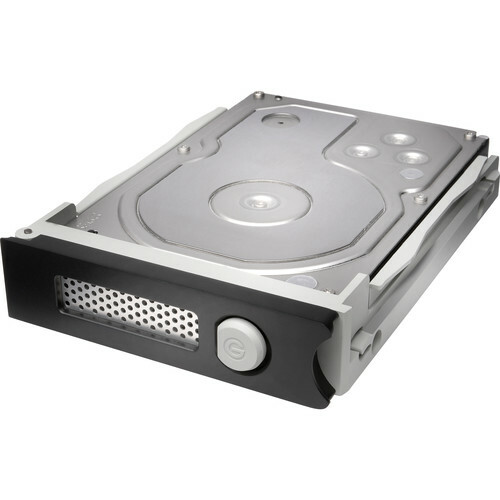 Box Dimensions (LxWxH) 11.0 x 8.5 x 5.5"
3TB Spare 3000 Enterprise Hard Drive is rated 5.0 out of 5 by 1.